Scott Olson/Getty ImagesJPMorgan CEO Jamie Dimon. JPMorgan’s third-quarter results beat analyst estimates, with profit climbing 24%. 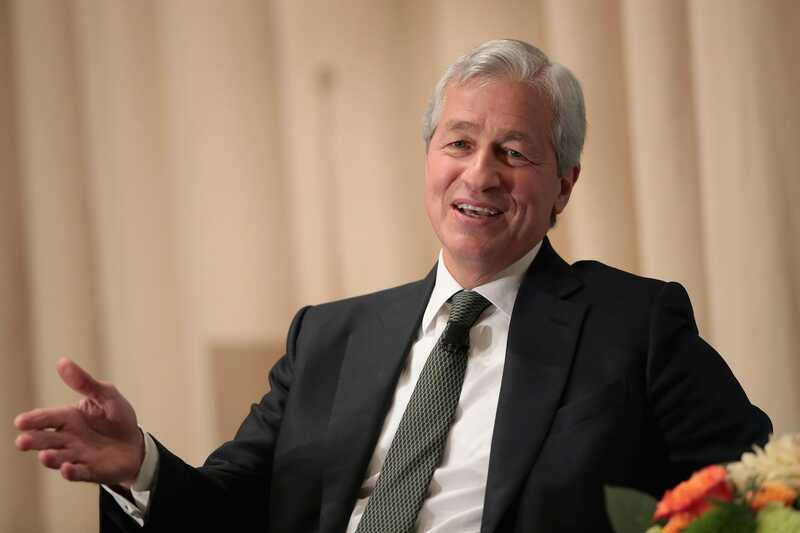 JPMorgan Chase announced third-quarter results Friday morning and posted earnings of $US2.34 a share. Analysts had expected earnings of $US2.26. Revenue: $US27.8 billion, up 5% from last year. Adjusted net income: $US8.4 billion, up 24% from last year. Consumer and community banking: Net income increased 60% to $US4.1 billion on revenue of $US13.3 billion, as Federal Reserve interest-rate hikes helped interest income. The unit attracted a record amount of net new money in the quarter. Corporate and investment banking: Net income was up 3% to $US2.6 billion on revenue of $US8.8 billion. Markets revenue fell 1% to $US4.4 billion, while banking revenue rose 4% to $US3.2 billion. Commercial banking: Net income rose 24% to $US1.1 billion on revenue of $US2.3 billion, driven by higher interest income. Asset and wealth management: Net income was $US724 million, up 7% from the year earlier.